Not happy with the latest ecosystem of Google? Want to go back to the Android Oreo? 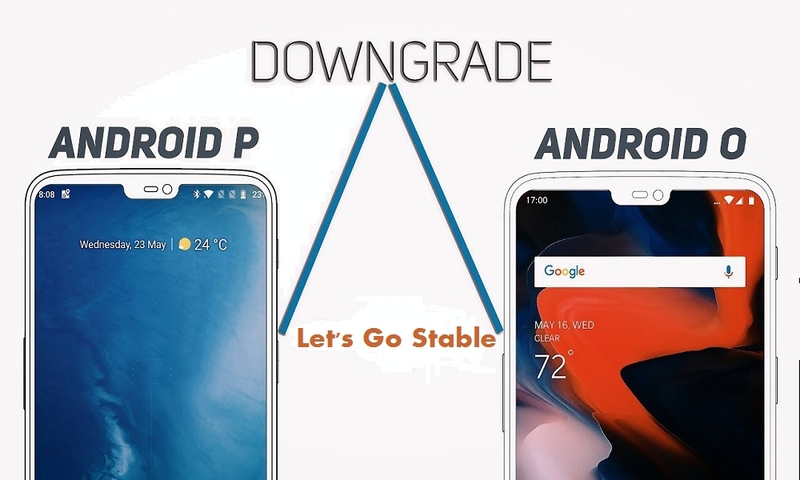 Check out this simple guide to downgrade from Android P to Oreo on Pixel and non-Pixel devices! Downgrading from Android P to Oreo is probably the best option to get back to the stable version of operating system. Since the announcement of Android P, many people have downloaded and installed Android P on their devices. While most of them like the update, but some people still want to go back to the stable Android Oreo version. So, here we are! Uninstalling Android P beta is not that hard task to do. You can simply downgrade from Android beta to Oreo with the help of this guide. While there are plenty of new features in the update you will like. But, the thing is the update is still in Beta and users are getting annoyed with bugs. Considering those users, here we have prepared a simple guide on how to uninstall Android P Beta and get back Android Oreo on your beloved phone. Let’s get on the process! There are two ways to uninstall Android P update. The Pixel users can directly leave Android P through settings, and other users will have to flash the factory image. Let’s see it! Step #1: Go to the Android Official page. Step #2: Next, select your Google Pixel device. Step #3: Now tap on “Opt-out” button to downgrade your Pixel. Step #4: Now you will get an opt-out screen to leave the Beta. Just tap on “leave beta”. Step #5: Go to the System Update, and there you can see Android Oreo OTA. Just tap on Download and install to downgrade from Android P and install Oreo update on your Pixel phone. Note: Make sure you have a complete backup of your all-important data. You may lose all your data while flashing Android Oreo on your phone. USB Debugging option enabled on the device (Go to settings > System > Developer options> turn on USB Debugging. Step #1: First of all, download Android Oreo factory file. Step #2: I guess you have already unlocked bootloader while flashing the Android P. Just unzip the factory image in the Minimal ADB and fastboot tool folder. When your device reboots into bootloader mode, run/execute the flash-all.bat file that you had earlier extracted from the Factory Image file. Once the flashing process starts, your device will reboot multiple times. So, don’t worry, its normal. Once it is done, you will get back the stable Android Oreo on your smartphone. Hope this guide helps you get back to the Android Oreo 8.1. Personally, I found the Android P update very advanced and user-friendly. Well, want to know which feature you make you more and force you to leave Android P. Feel free to tell us in the comments!